Ms. Youngblood’s litigation and trial practice centers on defense of medical malpractice and trucking-related claims. In her medical malpractice work, Ms. Youngblood has served as lead counsel to successfully defend hospitals and healthcare networks throughout the Bay Area. Ms. Youngblood defends claims of medical malpractice, elder abuse, products and premises liability, HIPAA violations, data security breaches, and contract disputes. On behalf of multinational trucking companies, Ms. Youngblood defends claims across the state of California. She has handled several fatality and catastrophic injury investigations from the date of the accident, bringing contacts with key experts to develop fast and precise defense strategies. In addition to obtaining regular dismissals of lawsuits on summary judgment motions, Ms. Youngblood recently secured a defense verdict in a negligent hiring claim, negotiated dismissal of an $8M traumatic brain injury claim for nominal settlement, and defeated a motion for discovery of trucking-industry trade secret materials. 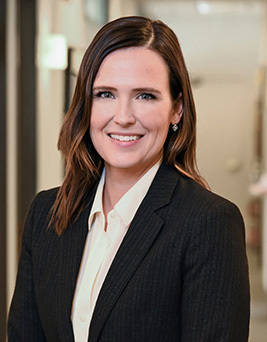 In her appellate practice, Ms. Youngblood has argued two cases before the First Appellate District Court, which recently affirmed the dismissal of hospital client by demurrer on appeal. Before joining the firm in 2017, Ms. Youngblood spent a decade with Davidovitz + Bennett, a civil defense litigation firm. She began her legal career in California as a staff attorney with Bay Area Legal Aid, and remains committed to public service. While in law school, Ms. Youngblood clerked for the District Court of Dallas County, Texas. Ms. Youngblood is admitted to practice in all state and federal courts in the State of California.